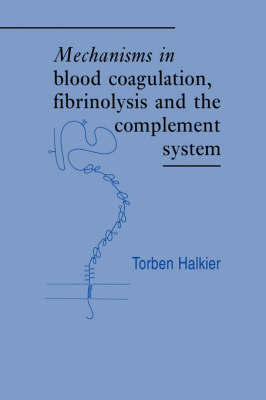 This book provides a comprehensive account of the proteins involved in blood coagulation, fibrinolysis and the complement system. A major section of the book is devoted to each of these three systems, with separate chapters dealing in detail with structural aspects and different functional processes. Topics covered in the blood coagulation section include the activation of factors IX and X and prothrombin, and the formation and stabilisation of fibrin. The fibrinolysis section includes the activation of plasminogen, the degradation of fibrin and the regulation of fibrinolysis. The complement system itself is covered in chapters dealing with classical activation, alternative activation, the lytic complex and the regulatory processes involved. In addition, one section deals with special topics, including the kinin system, signal peptides, haemostasis, and the evolution of protein structure. This volume will be of use to researchers and advanced students in the fields of haematology, immunology and clinical chemistry.